Heading Home (also called Headin’ Home) is a 1920 American silent sports film directed by Lawrence C. Windom. 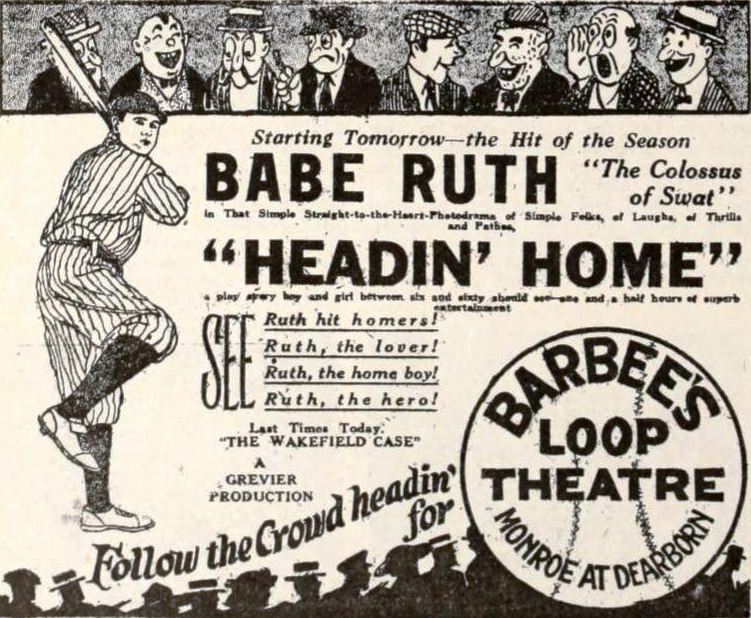 It attempts to create a mythology surrounding the life of baseball player Babe Ruth. The screenplay was written by Arthur “Bugs” Baer from a story by Earle Browne. Besides Ruth, it stars Ruth Taylor, William Sheer, and Margaret Seddon. Ruth stars in the film, playing himself, but the details of his life are completely fictionalized. In the film, Ruth comes from a small country town and has a loving home life, but in real life, he grew up in Baltimore, Maryland, and spent most of his childhood in a reformatory. In the film, shades of the baseball movie The Natural, Ruth cuts down a tree to make his own bat.